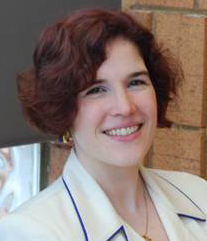 I'm delighted to host an author interview with author and blogger Tonya Cannariato today. She also very kindly sent me some pictures of her gorgeous huskies when I told her they were my favourite dogs - look how cute they are! You’ve moved around a lot in your lifetime – what influence has that had on your writing? I suspect that question is deeper than just the fact that my first novel was set in the country where I spent 1st-3rd grade. Being somewhat rootless and somewhat apart from the people who populate the places I've been since then I think gives me the distance to be an objective observer, intent on details in a way that lets me quickly adapt to new circumstances. It also gives me perspective on how places can impact personality and choices. So while there are elements of travelogue in what I've written, how my characters take the jolting impact of new surroundings reflects on them in a way I don't see from other authors. As well as being a novelist, you’re a reviewer and blogger –where do you find the time? How do you balance the demands of three quite differentkinds of writing? I'm not sure I've sorted out the balance question. I work full-time in an office, days, so my writing time is carved out of evenings and weekends. It started out through my participation in NaNoWriMo in 2010, and I had honestly no life that year. I discovered, though, that when I focus, it's not that big of a challenge for me to produce 2K words in an evening. Or 5-10K over a weekend. So NaNoWriMo 2011, when a bunch of family obligations intervened, seriously jeopardizing my potential for meeting the challenge, I worked all out, and produced almost 20K words in the last four days. I was more than a little astonished at my capacity--and exhausted at the end of it. During both those months, then, there was minimal blogging. This year, I chose to participate in the April A-Z challenge to help build awareness of my release of Dust to Blood, and found that with a theme and just a little bit of organization/preparation, blogging daily wasn't that much different from NaNoWriMo. Just a different framework, but still me producing daily words. But then I didn't do any novel writing. Mostly, I don't see reviewing as that much different from regular blogging, either: I'm just writing what I think of someone else's work as that "theme". The real challenge is to find the time to READ with all the writing. And editing. And revising. Over the past few months I've felt like I've spent more time creating words than consuming them, and I really miss that side of escapism. For my birthday, then, I granted myself a writing hiatus and got back to the old book-a-day reading habit. The other bit of writing you forgot to mention: Marketing and social media (i.e. keeping up with friends). I've been spending quite a bit of time responding to author interviews and trying to do what I can to spread the word about my book. That's where I can see the real challenge to the balancing act is going to come into play down the road. There's definitely something to be said for connecting with book bloggers to make sure you're visible to as many different audiences as possible. But that's also time not spent noveling or blogging on your own site. I'm not yet sure how the balance will work out, because I also notice that some days I miss my husband and friends--I get so wrapped up in all the different writing options, I have to make a conscious choice to put the keyboard away and get back to the relationships that also feed my soul. This is an evolving answer, really. When I was a little girl, my first favorite was Madeleine L'Engle. Her Wrinkle In Time series spoke to me (in 2nd grade) about the kind of misfit I wanted to be. I never got as smart as Charles Wallace, Meg, or Calvin, but the intersection of science and fantasy set my lifelong preference. It took me a while to find a follow-on favorite. It wasn't until 8th grade that I discovered Anne McCaffrey's Pern. Where L'Engle went in and out of the fantasy genre, McCaffrey built a world and let me live in it. When she died during the 2011 NaNoWriMo I was seriously upset; it took me a month, but I even blogged a memorial to her. Now that I need to find replacements for those early classics, I find myself turning to Patricia Briggs' Mercy Thompson series and its offshoots on a regular basis. Looking at these names, I see a theme: If I can live in your world across multiple books, and it's populated by real/realistic women, I'm likely to be a big fan. Without giving away any spoilers, what can we expect from the rest of the series? The series reflects a personal transformation in the context of political/cultural difficulties, starting in post-Soviet Russia. Ivan, even though he was the central focus of the dream that inspired the series, is only seen through the lens of American researcher Anne's perspective. She has her own issues with men, so the tension of learning to live with a man who has imprinted on her in a profound way will continue to carry through the story line. And, being completely cryptic, the things she learns at the end of book 1 launch her further adventures in books 2 and 3, forcing her to travel to the other two major Communist nations, China and North Korea. Want to read more? Here's the blurb for Tonya's book and you can buy it here. Chicago-based researcher Anne Crosby is travelling to Russia to investigate the hidden past of nine orphans who share an unusual bond--dust for blood. 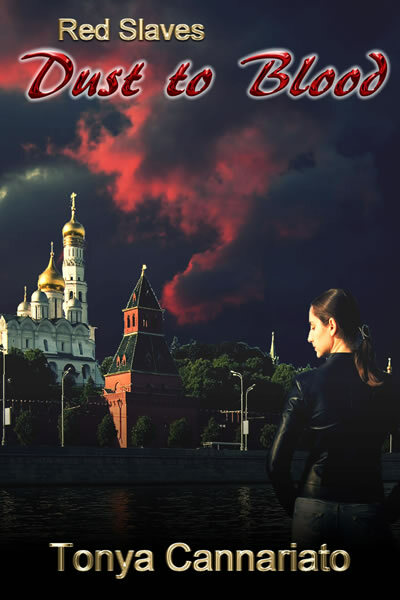 On her intriguing journey through post-Soviet Union Russia, she discovers a secret power buried in the country's history and sought by the newly reborn KGB, which is determined to regain ascendancy. Tonya's bio: A voracious reader since she was a toddler, and an ordained spiritualist, Tonya Cannariato has now presided over the marriage of her love of reading and her love of writing. She’s lived a nomadic life, following first her parents in their Foreign Service career through AfricEurope, and Asia, and then her own nose criss-crossing America as she’s gotten old enough to make those choices for herself. She’s currently based in Milwaukee with her three loves: her husband and two Siberian Huskies. She suspects her Huskies of mystical alchemy with their joyous liberation of her muse and other magical beings for her inspiration. She loves to sleep, to watch her interesting dreams, some of which are now finding new life in written form. You can check in at Tonya's blog here. And finally... how cute are these dogs? Seriously? Awwww! is right. Great pets for a wonderful keeper of the Huskies. Again, I like hearing about how crazy busy you were this past year creating your written word. Just plain awesome. Great time management. Great interview. I always like hearing about what writers like to read and what life experiences influence the writing. I didn't know you traveled so much Tonya - what a blessed background for your writing! i also find it interesting to read how other writers find (try to find) balance, something that is so difficult in our busy, modern times with so many distractions. Thanks for all the comments, guys: and thanks again Tonya for agreeing to take time out of your super busy schedule to be interviewed! I am also finding that balancing everything is a tightrope act and I am very close to falling off! Obviously, the title is ironic: or maybe not, since I actually do have the body of someone who sits around watching DVD boxed sets all the time. I can't take any responsibility for any external links (what am I, your mother?) Please note this is a UK site - I will refer to shows that have been broadcast on UK digital TV only. If I talk about films that are still in the cinema, I will flag any spoilers, but anything on DVD is fair game. Please do not add spoilers to this site, or flag them up if you do. Thanks! Also, if Jensen Ackles ever sees this: I'm sorry. I'm joking. Really.